Out of respect for my paying clients I don’t give a source list with their design boards. Please contact me personally with purchasing questions. I hope you enjoyed the newest design and I’m off to start another for an adorable little girl who will be getting a big girl room soon!!! 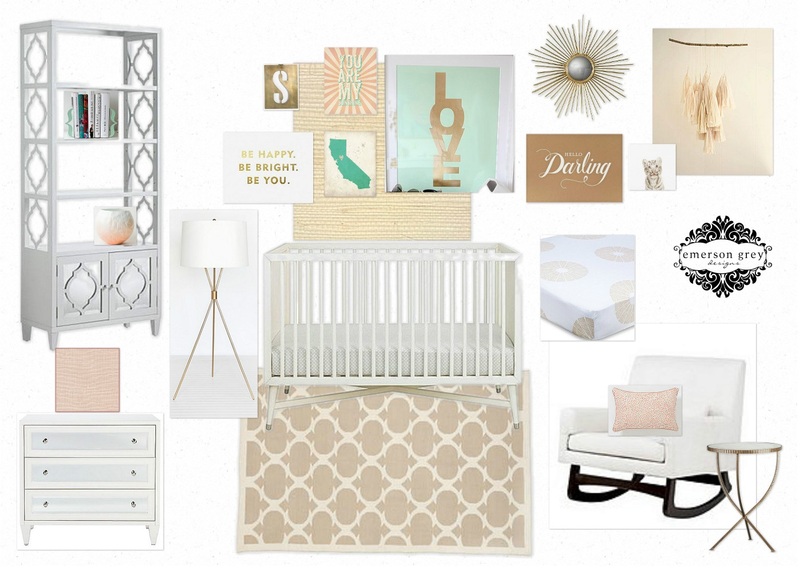 I love this design board! Gold, peach and mint…heaven! Very nice design. Keep posting.